Dr. Mario Ramirez, who is considered pivotal in bringing healthcare to South Texas, died Monday morning at the age of 91 at his home, leaving behind a legacy of service and devotion to improving the lives of the most underserved. Ramirez, also former Starr County judge, is remembered for having vital impact in healthcare access in the Rio Grande Valley and medical education. He served on the University of Texas Board of Regents from 1989 to 1995 and was vice president of the UT Health Science Center at San Antonio from 1995 to 2007. Ramirez founded the first family practice center in his hometown of Roma in 1950, and then established the first hospital in that city in 1958. The hospital closed in 1975 when Ramirez, as Starr County judge, helped open the Starr County Memorial Hospital in nearby Rio Grande City. See a tribute video regarding his retirement from the UT Health System in 2007. Dr. Mario Ramirez, right, performs surgery alongside Dr. Leonides Cigarroa, left, in a small hospital in Roma. Ramirez opened the hospital in 1958, which was the first in the city. 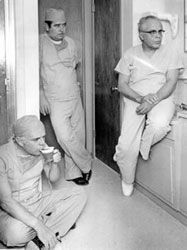 Dr. Mario E. Ramirez, right, with two colleagues at an unknown hospital in 1950. Ramirez’s contributions during Hurricane Beulah were instrumental for the community, Vera recalled. “You should see some of the collections that he had during Beulah, incubators that he made for children, I mean, just out of nothing just to keep people alive,” he said. Ramirez’s devotion to healthcare expanded to also providing educational opportunities for students in the field. During his time as vice president of the UT Health Science Center, Ramirez proposed the Med-Ed program which he later created and led in order to encourage students to seek health science careers. This program is said to have inspired more than 2,200 students throughout the Rio Grande Valley and Laredo. The vision of a medical school in the Valley was a product of Ramirez’s leadership, Cigarroa said, and his many efforts to increase opportunities in South Texas. As Chancellor of the UT-System, Cigarroa was an important figure in the creation of UTRGV’s School of Medicine, which opened its doors in 2016. 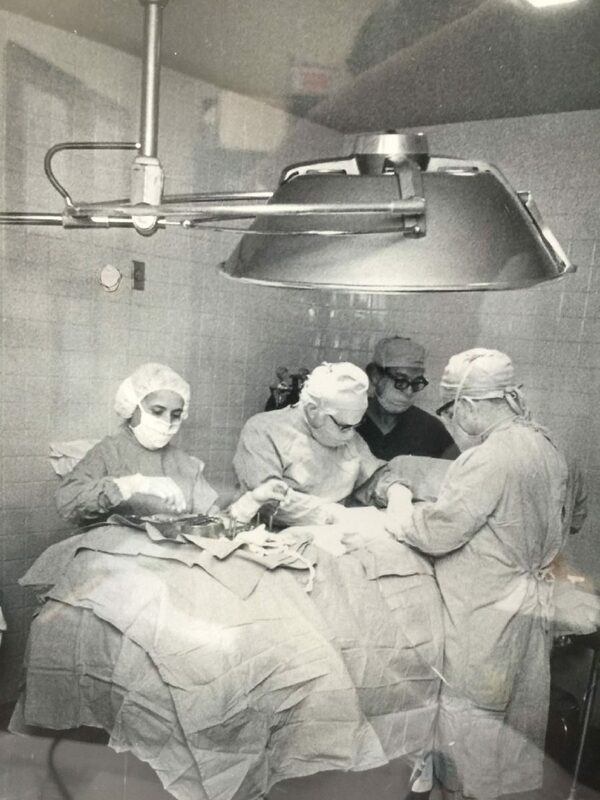 Cigarroa, a pediatric heart surgeon from Laredo, considers himself a product of Ramirez’s mentoring and recalled witnessing his very first surgery in the hands of Ramirez and his uncle, Dr. Leonides Cigarroa, in that small hospital in Roma when he was only a teenager. To this day he keeps a photo on his desk of Ramirez and his uncle operating together. “Mario Ramirez, not only in my eyes but in the eyes of Texas, has been one of the most impactful Hispanic individuals,” Cigarroa said. Some of the recognitions awarded to Ramirez during his career included the Distinguished Service Award from the Texas Academy of General Practice and the Texas Medical Association, the Distinguished Alumnus Award from the University of Texas and the Bicentennial Dr. Benjamin Rush Award for citizenship and community service from the American Medical Association. In 1978 he was also recognized at the White House as Family Doctor of the Year, an award by the American Academy of Family Physicians, which was presented by President Jimmy Carter. Outside of the many leadership roles, Ramirez was a great family man devoted to his wife Sarah Ramirez, who died in 2012, and five children. Cigarroa also recalled him as a skilled photographer who devoted some of his time to the darkroom. Reporter Berenice Garcia contributed to this article.